"The Black Hills" to the old man a lot of tall trees with a stream bed in the bottom of the ravine. Here at the odd weekend usually Sunday in summer, he would arrive with a hoard of kids also including the neighbours brats as well and put up rope swings which would reach out over the ravine sometimes at quite a height above the ground amazingly I don't recall anyone being damaged apart from the odd cuts and scratches. 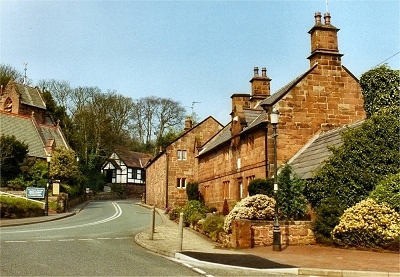 Thurstaston village has St Bartholomew church 1886 at its center but belief is that a saxon one was first on the site then a norman one and followed a stone building in 1824 was replaced by St Barts using locally cut sandstone, buried in the graveyard is Thomas Islay the founder of White Star Line who built a mansion nearby called "Dawpool". Thurstaston Hall the older parts from 1350 added bits from 1680 and 1835 is reputedly haunted by a"white Lady". 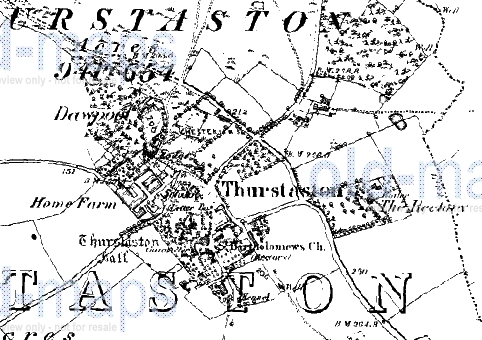 At the giddy height of 298ft Thurstaston Hill is one of the high points on the Wirral a somewhat worring thought in the global warming senario. 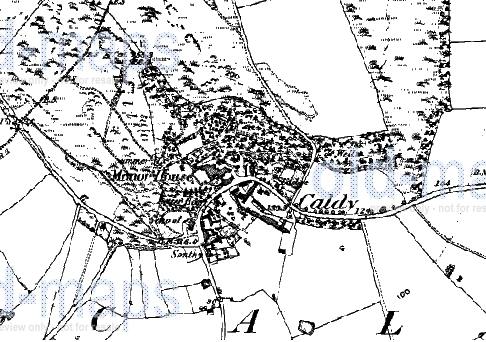 CALDY Caldy as recorded in the Doomsday Book of 1086 was owned by Hugh of Mere, it was and probably still is mainly a farming area except for some building plots developed by Caldy Manor Estates which are now a very exclusive residentual part of the village, only big money needs to apply. 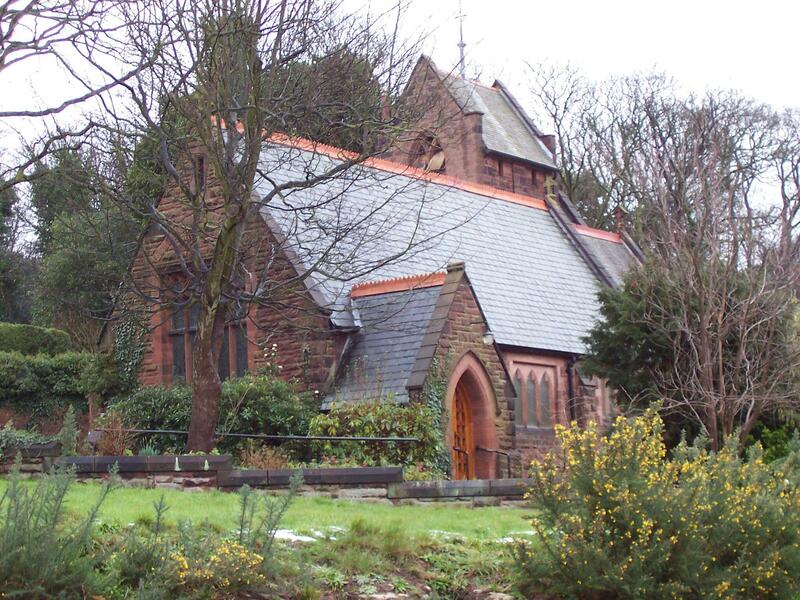 There is in village center the usual church this one being St Bridgets, the site being used a church since the start of the last millenium alledgedly. The earliest surviving structures being the vestry doorway, and some of the north wall in the Lady Chapel being 14th century, the east wall of the chancel and the chapel 15th and 16th century,with victorian window tracery. 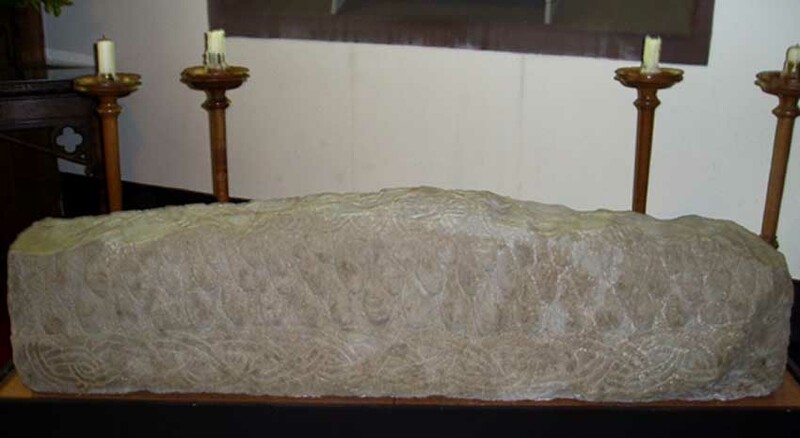 The tower is 16th century on earlier foundations and has eight bells four of which are over 200 years old. Caldy Hill at 260ft is said to have some of the best views across the Dee Estuary , and nearby is the mariners beacon built on the site of an old windmill in 1841 replacing the original destroyed by a gale in 1839. 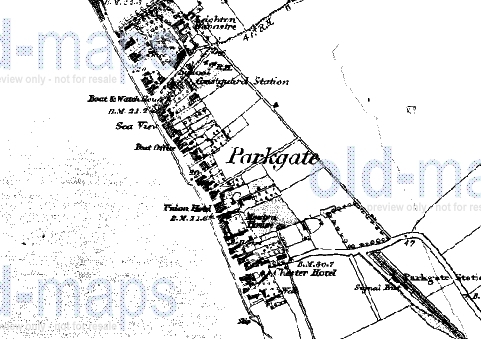 PARKGATE Parkgate owes its name to the fact that for hundreds of years the Wirral was a royal hunting park and as the first dwellings were built the site was called Parkgate. 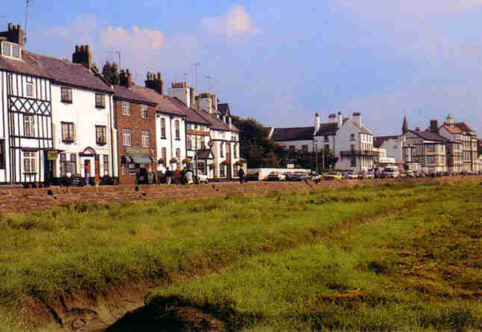 When the port at Chester silted up Neston and Parkgate were the next places along the coast with enouge water for the boats to berth. This was a busy time for the port with the packet boats to Ireland and ferries across the Dee to Flint, and its own fishing fleet the village was booming. 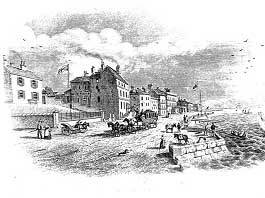 Grand hotels and inns sprung up to accomodate the weary travellers who wished to rest for the night or were unable to sail due to the weather, tourists came the swim in the sea and walk on the beaches. The Dee silting up continued and toward the end of the eighteenth century there was neither sea nor sand as the grass advanced toward the land. 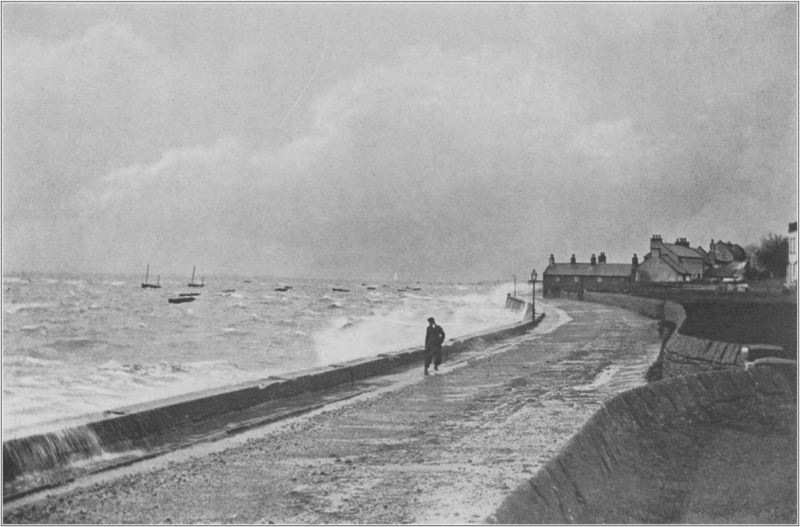 The boom years had bust and Parkgate was left only with its fishing, two famous visitors were Handel enroute to Dublin for the first performance of Messiah and more regularly Emma Hamilton the mistress of Lord Nelson who bathed in the sea as treatment for a skin condition. During the war two houses had cellars converted into bomb shelters for use by the public, and small lights were placed out on the marsh to fool the bomber pilots as to the true location of the village although why they would want to bomb Parkgate heaven knows.